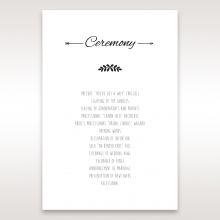 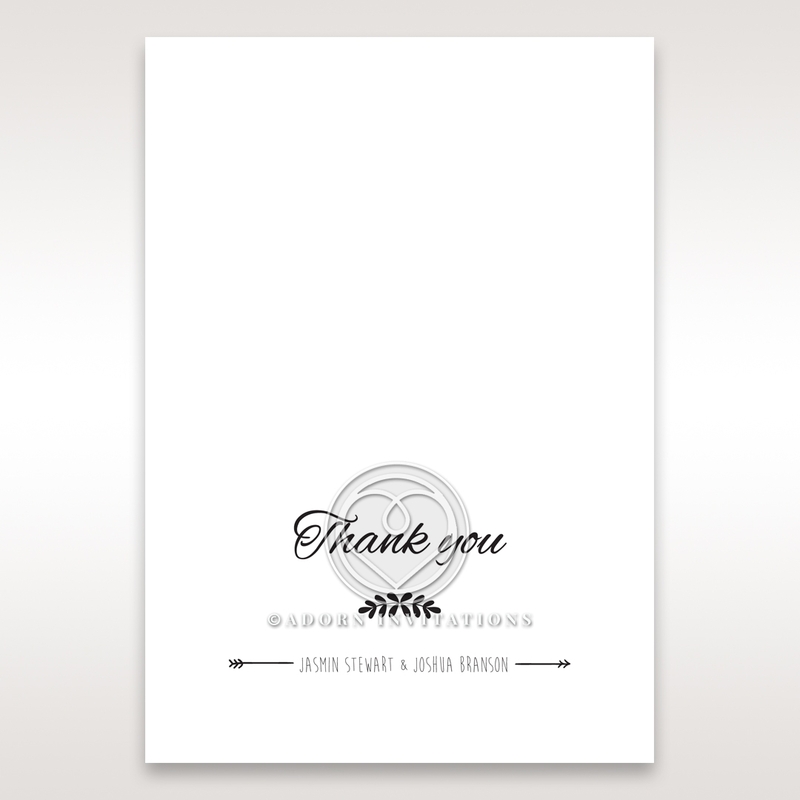 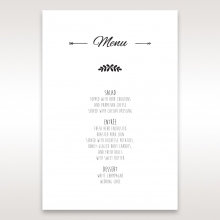 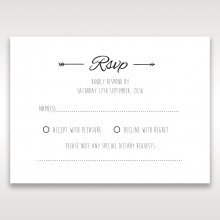 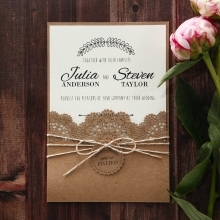 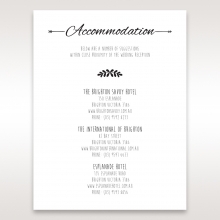 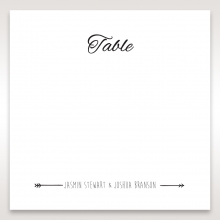 Send out thanks to your guests after the wedding using this simple and laid-back wedding stationery. 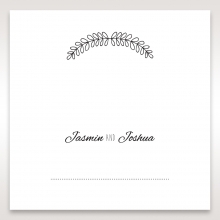 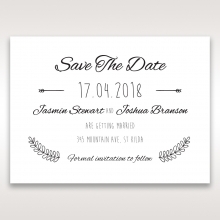 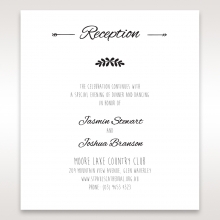 This simply designed card will work flawlessly if you had a rustic, garden or outdoor wedding, From the garland pattern, arrow and our signature thermographic ink printed on a quality stock, this creation exudes an exceptionally chic appeal. 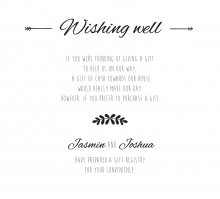 You can opt to write your message of thanks by hand or supply us with your personalized message to have printed on the inside using our luxurious raised ink, too. 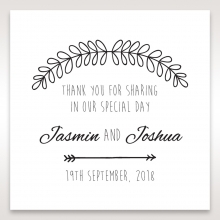 This thank you card comes with a complimentary envelope that you can further personalize with your guest's name and address.